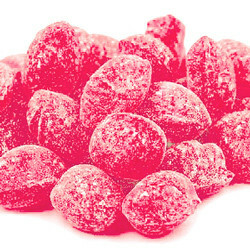 treat yourself to a bag of these yummy candy drops. They are hard candy packed with fruity flavor that taste just like watermelon. Claey's is a company that is known for the classic lemon drop first produced in 1919. Sugar, corn syrup, citric acid, artificial flavor, and artificial color (FD&C red #3).